We are in the early stages of creating “Horidraa: Golden Healing,” our new production that will premiere at The O’Shaughnessy, St. Paul, September 16-17, 2016. Please join us for a free open rehearsal of our creative process of this work. “Horidraa” celebrates the vital but seldom acknowledged work done by women in global societies of color to sustain their communities, but with a unique focus on healing practices. The dominant metaphor for “Horidraa” is turmeric, the golden yellow root that has been part of the South and East Asian cuisine and medical systems for centuries. Inspired by indigenous practices across different communities led by women, this original work of theater reflects the spiritual practices that address and balance energy; inter-relational modes of listening and supporting; and dietary practices that heal from within. In 2014, we initiated a five-year theme – Work Women Do – about the unacknowledged labor that women perform to sustain communities. The first production, “Neel: Blutopias of Radical Dreaming,” concerned itself with the role and labor of women’s dreams. In 2015, “Roktim: Nurture Incarnadine,” celebrated women’s work to nurture land and preserve sustainable agricultural practices. “Horidraa” looks at women’s roles as healers. In 2017, “Shyamali: Dark Green,” will focus on women speaking up and talking back to birth new worlds. The series will conclude in 2018 with “Shaatranga: Rainbow Colors,” about women’s roles in world-making. 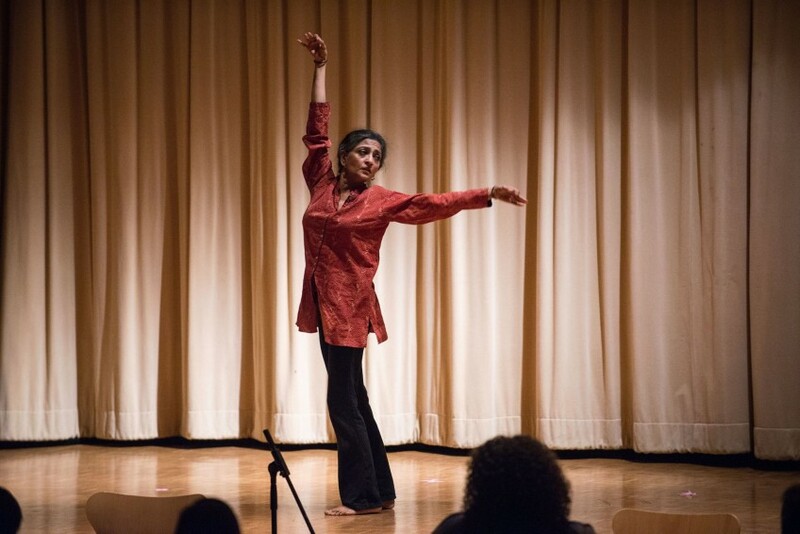 Ananya Dance Theatre also will present a showcase performance at APAP, 6:15pm-6:30pm, Friday, January 15, at Manhattan Movement & Arts Center, MMAC Theater. Click here for more information. The showcase performance will feature excerpts from “Roktim: Nurture Incarnadine,” our 2015 production that was presented in Addis Ababa, Ethiopia, in September.